The Space Flight Laboratory (SFL) is Canada's premier microspace organization. SFL builds low-cost microsatellites and nanosatellites that continually push the performance envelope. Missions are typically developed with stringent attitude control and data requirements that are striking relative to the budget available. SFL must be innovative while adopting a highly focused approach to development in order to achieve costs as low as 1/100th the price of similar satellites developed elsewhere. SFL has developed the Generic Nanosatellite Bus (GNB) and the Nanosatellite for Earth Monitoring and Observation (NEMO) bus to provide low cost, high performance missions to international customers. 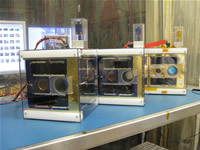 SFL arranges launches through its Nanosatellite Launch Service (NLS) and provides customizable separation systems called "XPODs" for those launches. As part of its complete end-to-end mission capabilities, SFL maintains a mission control center consisting of multiple ground stations. SFL operates multiple satellites from its mission control center, including MOST, CanX-2 and NTS. Each satellite represents an advance in the field and has broken barriers relative to what small satellites can do. The 53-kilogram MOST satellite was launched in June 2003 and has been operating successfully for many years despite being designed for a one-year mission. It is a space astronomy satellite that has made numerous scientific discoveries related to solar-type stars and exoplanets. 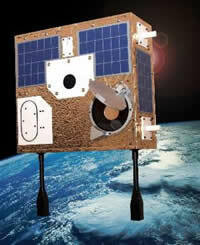 CanX-2, launched in April 2008, is Canada's smallest operational satellite - roughly the size of a milk carton. Its technologies push the state of the art in low-power, miniature satellite components. It is also among the smallest scientific satellites in the world and features three-axis attitude stabilization. 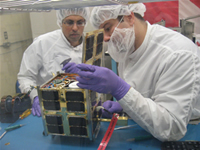 Nanosatellite Tracking of Ships (NTS), a 6.5-kilogram satellite, was launched together with CanX-2 in April 2008 to demonstrate leading edge ship detection technology from space. NTS was developed on an incredibly fast timeline of only six months, a first for a satellite of this class in Canada and perhaps the world. SFL launched another ship detection satellite, AISSat-1, in July 2010 for the government of Norway. 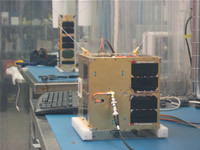 AISSat-1 is operating successfully in orbit and has proven the capabilities of the Generic Nanosatellite Bus (GNB). 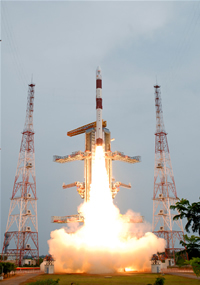 AISSat-2 has also been developed by SFL as a follower to this highly successful mission. Other SFL missions include BRITE Constellation, a collection of six space astronomy nanosatellites for three countries, Austria, Poland and Canada, each with better than 1 arcminute pointing accuracy. CanX-4&5 are formation flying nanosatellites developed by SFL to demonstrate precise, autonomous formation flying at low cost. SFL is also the developer of the NEMO Aerosol Monitoring (NEMO-AM) satellite for the Indian Space Research Organization (ISRO), a 15-kilogram microsatellite for aerosol monitoring in three spectral bands. SFL is the developer of the NEMO High Definition (NEMO-HD) mission for SPACE-SI, a Slovenian Center of Excellence. SFL has contributed the attitude control system, command and data handling system, and power system to the Canadian Maritime Monitoring and Messaging Microsatellite (M3MSat). In summary, SFL is recognized internationally for its ultra-low cost, yet high performance missions and its ability to successfully exploit the latest commercial technologies in space.